The address listed for the Grove Restoration Project in any of these documents is no longer valid. The Real Estate Management Office of Cook County are the legal owners of the cemetery. All of the initial clean-up events were through a Temporary Use Permit that required signatures from all volunteers when performing work inside of the cemetery itself. All activities performed on Forest Preserve District of Cook County property required the use of a Volunteer Activity Permit. These permits were required before the area was "adopted" by the Grove Restoration Project. Some picnic events required a permit due to the amount of people attending and/or to secure a picnic grove location. Training is required to perform various activities on forest preserve property. Before the Grove Restoration Project adopted the area known as Everdon Woods these documents were used in conjunction with classes given by the Forest Preserve District of Cook County. 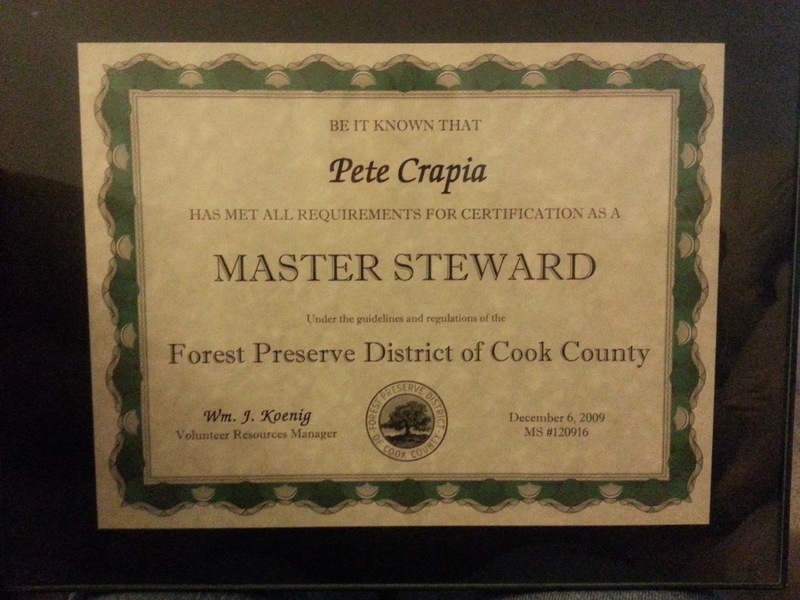 The Preserve Keeper Corps is a part of the Forest Preserve District of Cook County. When the Grove Restoration Project adopted the area known as Everdon Woods it was through the PKC program. A Site Plan is required for "restoration" sites and the Grove Restoration Project followed those same rules even though it was labeled as a beautification and clean-up site. At the end of each event a Workday Report is required. This was performed after adopting the area under the PKC Adopt-A-Site role. Adopt-A-Site events are not the same as restoration site events, but the Grove Restoration Project was unique. To perform brush-pile burns you need Master Stewardship. This tracking form is required at the end of each event. Please note, not all tracking forms were scanned and saved but one is available here as an example. These documents were used during the course of restoration activities. Miscellaneous correspondence for historical reference.